On Express Orders, we ship as fast as within 48 hours of Order Confirmation. No more worries on last moment requirements. You can choose between the 100% Recyclable PE Coated Paper Cup or the 100% Recyclable PLUS 100% Biodegradable and 100% Compostable PLA BioBoard ™ Paper Cup. State of the Art Printing on High Quality Paper with Food Safe Inks. The Paper Cups we make for you are what we drink from. Each cup is an objet d’art, perfecty food safe and odourless. Best price in industry, we manufacture in UK, and we guarantee that we shall match any quote one on one. Guaranteed low price with absolutely no compromise in quality. Ask for a "No Obligation" quote. If you are shy of storage space and are losing money in small orders. Ask for free storage with us. Throughout ages, beverages have formed part of pleasurable experiences. Today, the hectic pace of life is urging millions of people across the world to adhere to the grab-and-go trend. Events know no boundaries and the need to cater food and beverages for customers, participants or invitees irrespective of location has become a key aspect in planning. At Scyphus, we know that a paper cup is much more than a product: we use it to carve your brand’s identity or make your event successful. 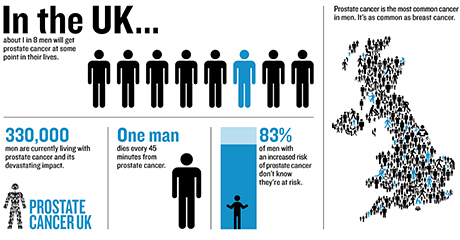 This is what makes us the leading manufacturer in the United Kingdom. 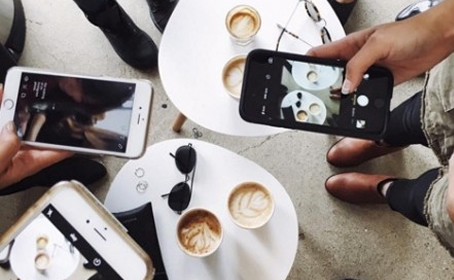 At Scyphus we offer a full spectrum of products to help you enhance the experience of your own customers or give you a boost in your marketing strategies. 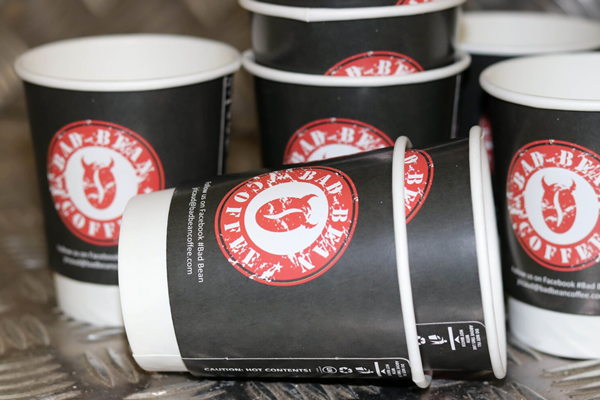 Our paper cups come in a wide array of varieties such as Double Wall Cups, Single Wall Cups, Vending Cups and Deli Cups to meet your satisfaction for any occasion. All our printed cups can be customised to your goals. Whether you want your logo or a specific message to be printed on them, or use the products for brand awareness, at Scyphus we can offer you tailored solutions. We have equally thought to offer takeaway containers, transparent dome lids, sip through lids, paper cup sleeves, napkins and coasters as well as popcorn boxes. Our Biodegradable Paper Cups are 100% PLA Coated Trademarked Paper Bio Board ™, a compostable board with a bio-plastic layer that would disintegrate in a composter bin. Our Bio Cups are 100% Compostable and doesn’t compromise in any quality viz. print and texture or strength, to achieve this eco-friendly design. Double Wall or Single Wall, Cold or Hot, cups with any Biodegradable Plastic Coating is called a Biodegradable and Compostable Paper Cup. PLA Paper Cups made using our Bio Board ™ are 100% Compostable and works well with both cold and hot beverages alike. Double Wall Paper Cups, PLA coated or PE coated, is the most obvious hero of all products. The most important paper cup in design and application. A Double Wall Paper Cup or the ubiquitous Takeaway Coffee Cup is made of an extra barrier layer of paper with air trapped in between, thus acting as a superior insulator. Double Wall Paper Cups are available in the popular 8 oz, 12 oz and 16 oz sizes for coffee, of which the 12 oz is the standard takeaway cup, while 16 oz is the large cup for the caffeine junkies. Single Wall Paper Cups, commonly called the Cold Cup or the Cola Cup, is the second most important of all paper cups. This is the paper cup that be traced back to the early dixie cups, and are still very important and sought after in it’s primary sizes of 8 oz, 12 oz and 16 oz sizes, while a 4 oz small cup is also very popular as a cappuccino cup. Single Wall Paper Cups can be either PLA Paper Cups or PE Paper Cups, that is, either 100% Compostable Or, 100% Recyclable. The Cola Cups are often used by patrons as coffee cups by sliding the java jacket over it, providing a double wall like insulation. Ice Cream Cups, the popular and classic Paper Cup, made from thick board that prevents sogginess but retains the freshness and taste of your cold dessert intact. 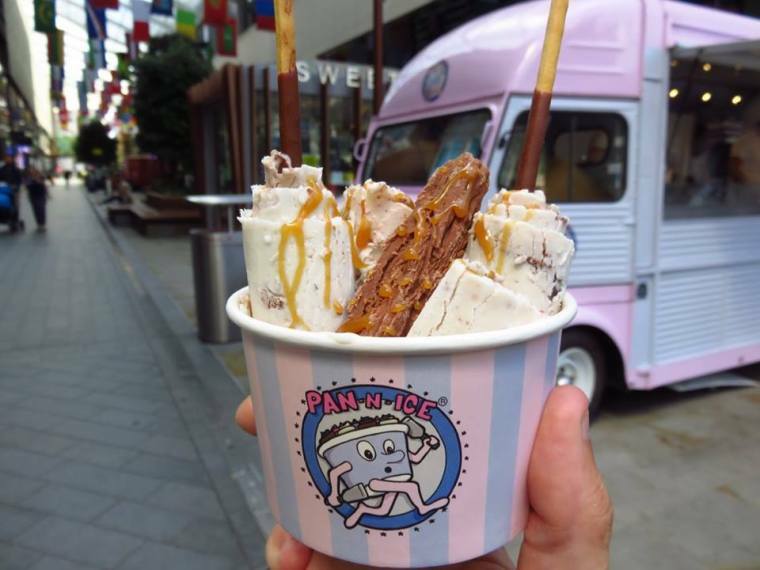 Ice Cream Cups are as important as the ice cream, and all of us have grown up with these cups and a good well designed and perfectly printed and formed ice cream cup or the lack of it all, can make or break you ice cream business. Ice Cream Cups are made from a minimum 265 gsm virgin odourless board with food sake ink printing, these are the perfect companion for your frozen food dreams. The Deli Cup is nothing different from your regular Coffee Cup or that Red Cola Cup you see everywhere, the only difference is that these are usually not bespoke always, pre-printed versions are available too, although, we recommend bespoke deli cups at a fraction of an extra cost. For that little difference, you get your own branded Deli Cup. The Deli Cup is available for both Coffee and Cold Drink/Cola serving, so technically its nothing but a pre-printed double wall or single wall paper cup. Buy a pre-designed generic Deli Cup or as we say, go bespoke and make a mark. 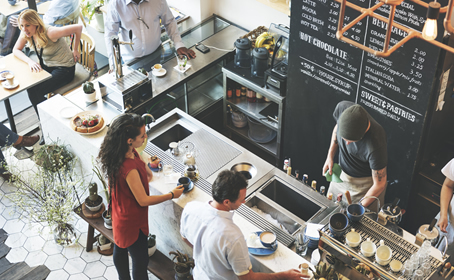 Vending Cups that you see at the office watering hole ,the coffee vending machine or at the automated beverage serving machines, are just like any other branded paper cup, but, with an agenda. They are meant to be perfectly sized, so users don’t feel cheated on quantity, but at the same time designed to hold lower volume to prevent wastage. They could be any size but the 6 oz and 7 oz cups are the ones that have the stated agenda, and are thus super popular. Vending Cups need to be of sizes that can fit any vending machine, satisfy the customer and prevent wastage. That is the reason, the 6 oz and 7 oz cups fit the bill perfectly, they are tall but slightly slimmer than the standard cups and thus has the illusion of a bigger profile. Paper Cup Sleeves or Java Jackets to Single Wall Cups are what Handles are to a Mug, neither have what it takes to keep your fingers unscathed from the hot coffee, they lack the insulation that a Double Wall Cup provides, and there comes the Java Jacket in rescue, providing a somewhat insulation to prevent scalded fingers. Paper Sleeves for Coffee Cups are what makes a Cola Cup a Coffee Cup, without the Sleeve, the Cola Cup cant transform itself from Cold to Hot. These sleeves are lovingly called Java Jackets and are a great accessory for Single Wall Cups. The Box that killed the Tub. The flexi-box that literally needs no extra storage than a pile of papers, and is easy to fit and nice and light to use, literally replaced the big and burly Popcorn Cup forever. It has the advantage of being light and easy to store, provides a great brand engagement surface, and to top everything, can be ordered for any custom size you need. Popcorn Boxes, bespoke “branded popcorn boxes” are what you want to serve your dry snacks in. Popcorn Boxes are Biodegradable, light and need no extra storage. The squarish shape is perfect for branding and can be made in any custom size you want. CPLA or PE, these Sip Through Lids are the perfect accessory for your 12 oz and 16 oz coffee cups. Perfect Finish, available in black or white, with a design that eases use, prevents spillage and lip scalding. CPLA Lids are Biodegradable while PE lids are to be recycled separate from the paper cup. Ice Creams Cups are best made of paper and ice cream lids since ages have been paper too, the cute round paper board that we all have licked as a child before throwing away. But today, Ice Creams have gone gourmet too, and the visual appreciation is as important as the taste. The Transparent Dome Lid helps in presenting the ice cream to the customer even before the lid is opened. It’s the current favourite of all Ice Cream Parlours. Great cups 100% recyclable good prices and quick delivery. Needed paper cups urgently as our usual suppliers had let us down at the last moment. These guys pulled out all the stops and saved the day. Not only was the service super fast the goods were superior when compared to our previous suppliers. I can highly recommend them and their products. Great product and service. Required cups urgently for an event. 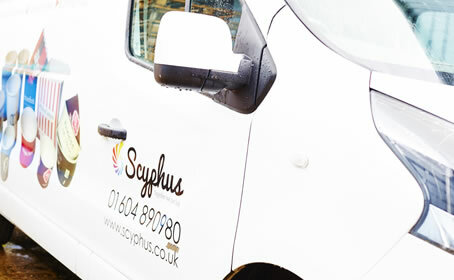 Deadline was very very tight but Scyphus pulled out all the stops to get everything we needed and on time. 100% perfect. We are now using them for regular supplier and I would recommend them to anyone that needs paper cups. Call us on 0207 101 4118 or get your free quote now! Custom Requirements, explanations, suggestions and more. We are all ears. * Your Phone Number and Email is safe with us, we won't email spam or make unsolicited marketing calls, other than related to any message or question you need us to answer to. We won't share your contact information with anyone. Privacy is guaranteed.